Makeup Masterclass with Laura Hitchen.. I did mean to get this post up about a week ago but to be really honest my family had a tough couple of weeks and I just didn’t really feel like writing. Today is a new day though and I’m excited to share the details from this masterclass! Most people will know that Laura is one of my close friends anyway, but as much as I went to her masterclass as moral support, I also went to review it. We both agreed it would be interesting if I wrote an impartial review on the class to see what feedback I could give to her. Although Laura has done my makeup countless times, I’ve never actually seen her in full swing when she’s teaching so I was really excited to see her doing what she loves. Laura’s studio was set up for the class and everyone was given a drink and a cupcake on arrival which was so cute! 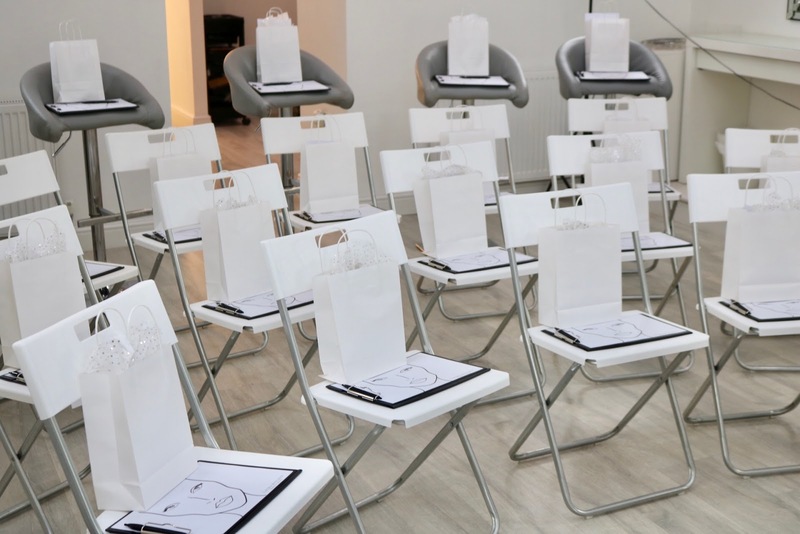 On every seat was a goody bag and a face sheet to write down products and tips. Considering Laura said she was nervous for the class, it didn’t show at all and she was her usual chatty self as she spoke to the girls as they were arriving. So the masterclass was two hours long, and the focus was on Laura’s signature glam looks. The model’s face was split in two whilst each look was created on either side. I loved this idea for the class because at the end we got to see both looks up close and could compare the differences in the soft glam and the more dramatic look. Laura is clearly a natural when it comes to teaching makeup, everything was explained in so much depth that people were struggling to ask questions because she had already answered them. Every product she added to the model’s face she explained why she liked it, how to apply it, what to apply it with and in most cases an alternative dupe. There was so much information packed in to the two hours yet it was all broken down and made really easy to understand. I left with a face sheet full of notes that I had made on both looks, including a list of products used and of course my goody bag! I was really impressed with this because I didn’t expect it to be so full. In the goody bag was a pair of Doll Beauty lashes, a Doll Beauty mirror, a pink glitter and two pigments. On top of the products there was Laura’s own merchandise (proud friend) and some discount codes for every member of the class from brands Laura had used such as Peggy Sage. 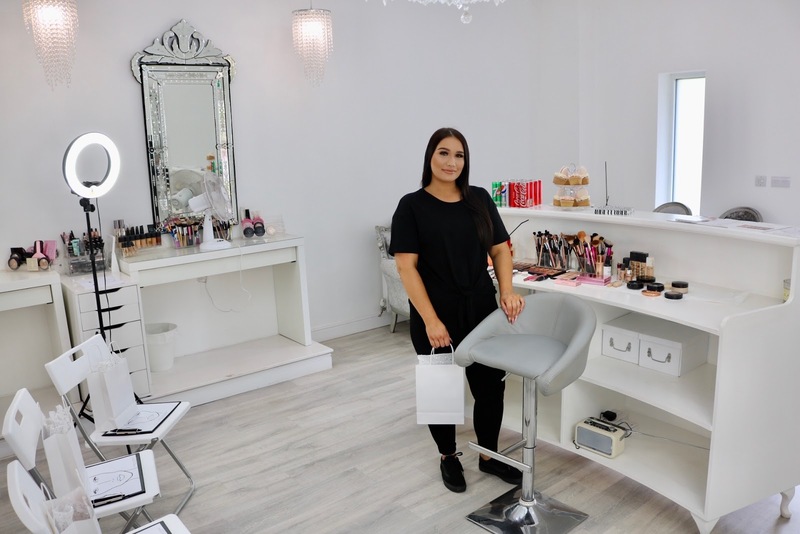 At the end of the class, Laura asked if anyone wanted to ask questions within the group or privately and spent some time with the students discussing the best angles to take photos of makeup, where to buy ring lights and choices of base products depending on skin type etc. Even if I didn’t know Laura I would without a doubt recommend her masterclass to anyone because it was so in depth considering it was only two hours. I came away with so many tips and tricks for application and I really felt like she covered every base for whether the students were aspiring make up artists or just wanted to learn their own face. If I'm honest I knew the class would be good, but I didn't expect to learn so much in such a short space of time. 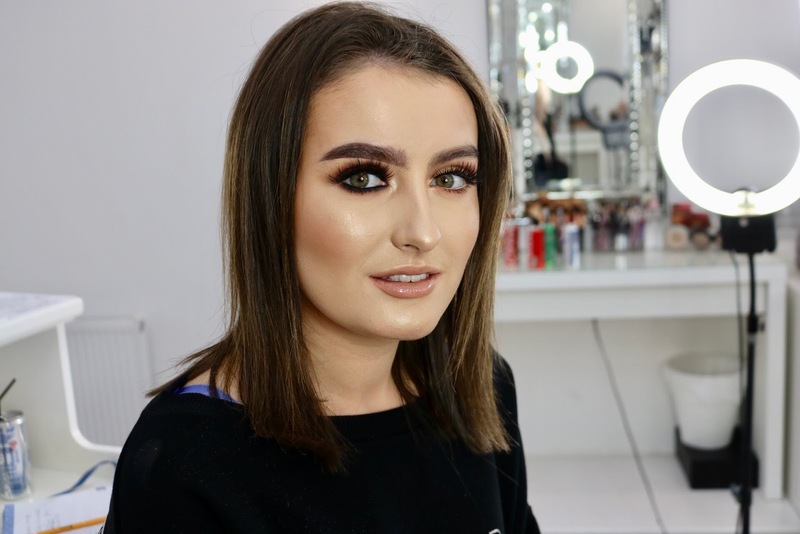 Laura offers one to one lessons as well as running group courses that are Guild Accredited (meaning you are a qualified MUA upon successful completion) so if you missed this masterclass there are other options available. I’ll leave her links below to contact her. This was a slightly different post from me but I thought it could be handy for anyone who wants to learn more about makeup. This sounds like an amazing masterclass! wowowoow what a cool day!! i am so beauty obsessed and I'd love to have a day like this! Omg! The makeup looks amazing! Ahh this sounds so fun! I love the two looks too. This sounds so good! I’d love to go to something like this. This looks and sounds great! I’d love to attend a masterclass like this! Both of the looks are so gorgeous! Wow this look is amazing!! Would love to attend an event like this!